Today a new visitor's center opens at Stonehenge, just three days before various druids, revelers, and pagans converge on the site to celebrate the winter solstice. 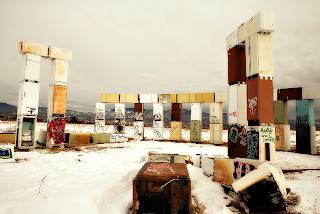 But there won't be any such gathering at the once venerable Fridgehenge, aka Stonefridge. 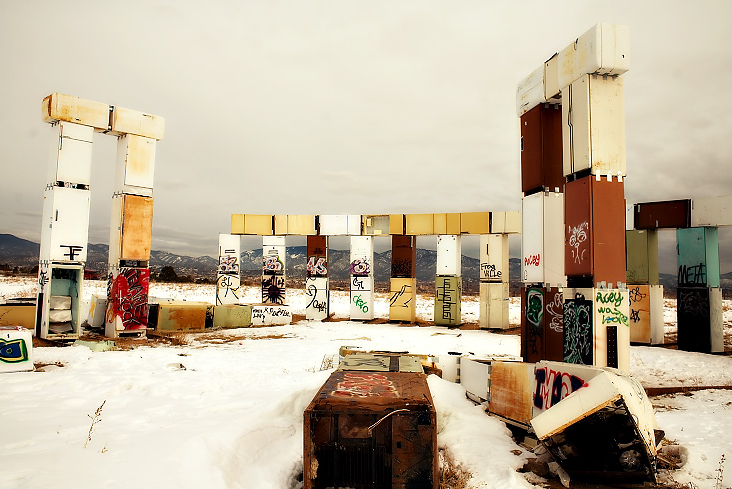 Erected in 2003 outside Santa Fe, New Mexico by artist/filmmaker Adam Horowitz and the Primordial Soup Company, its 100+ discarded coolers were configured into a satiric 'anti-monument' to consumerism. A well-crafted video tells the unlikely story of the installation.